Sometimes I create gradiants and then later I realize, that I would like to move my gradient on the palette elsewhere. 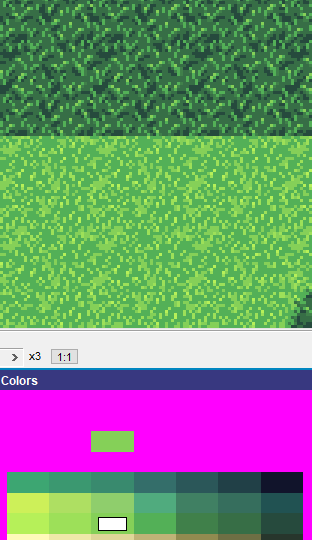 Problem is: Moving the color to an other position doesnt automatically change the palette-pixel binding. 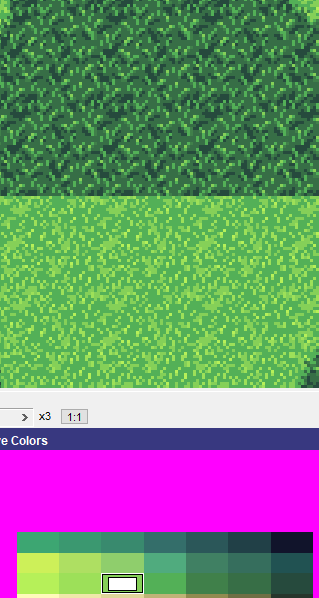 So if my 5. position in the palette is green and i take that green and move it elsewhere, all pixels drawn in that green still get their color from the 5. position. 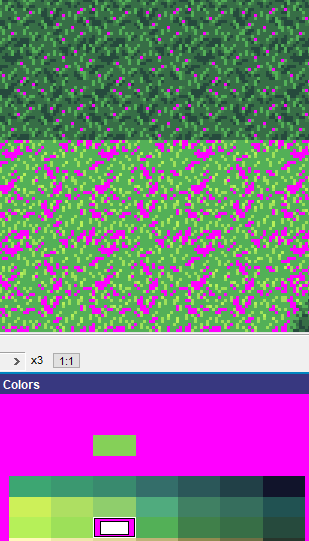 I then have to manually recolor those pixels with the color from the other position. I would like to see an option that lets me move a color to a different position, which also automatically changes the palette-pixel binding. 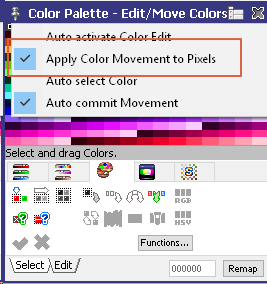 Enable the option “Apply Color Movements to Pixes” and pixels will shift as well. What I would like to have is, that I can move colors in my palette and corresponding pixels in my imagine also get their color information from the new color position instead of the old one. Hope it is easier to understand now. Yes, this is what the option does that I mentioned. But this only works if your drag them around. Did you activate this option? Aaah, that’s good to know. Hard to understand if you don’t know all the features from Pro Motion. Sorry for the inconvinience.